Florence Cathcart (Rebecca Hall) doesn’t believe in ghosts. She only seeks the truth. Indeed, she has made a successful career out of exposing those who, in the aftermath of World War 1, would seek to exploit the grief of others by creating phony supernatural events. Her line of work is exhausting and so she is reluctant to take on a new case - the ghost of a child believed murdered in a building that now houses a boarding school for young boys. Is Florence up to the challenge? Will she find who or what is responsible for creating terror among the boys? I really enjoyed The Awakening. It is not the scariest ghost story that I have ever watched and it did take me a moment to work out whether I liked the ending but, overall, it was a very enjoyable chiller. I thought that the central performances in The Awakening were all brilliant. I particularly liked the way the film approached its ghost story from the perspective of a non-believer. Florence is a brilliant character with real depth and is played superbly by Rebecca Hall. Despite her refusal to believe in ghosts, we sense a deep and intriguing yearning within Florence. The film really taps into the atmosphere of the time - just after the end of The Great War - when Britain was a nation united by grief and where evidence of an afterlife could have been a comfort to many. As a result, the ghosts in The Awakening are not just those that Florence tries to expose. They are buried within everyone she meets. Her first contact with the boarding school is via Robert Mallory (a brilliantly understated performance by Dominic West). Robert is haunted by his time in the War and is crippled by his survivor’s guilt. These aspects of the film really elevated it above the more typical ghostly movie fare. The Awakening has a couple of jumpy moments and several scenes of genuinely chilling spookiness. The film is also gorgeously cinematic - the opening scenes are beautiful and the locations are all pretty fabulous. I also admired the way key scenes were lit - this really added to the building tension and atmosphere. As I mentioned at the start, it took me a while to work out how I felt about The Awakening’s ending. When the film showed me its hand, I wondered if I felt a bit disappointed. However, after a couple of minutes I realised that I had really enjoyed watching this movie and loved the central performances and, yes, I was happy with its conclusion. I just loved all of Florence's gadgets! Have you ever finished a film unsure how you feel about it? I think that many movies need time to settle before I feel able to pass judgement. The Awakening also features a really great performance from Imelda Staunton. 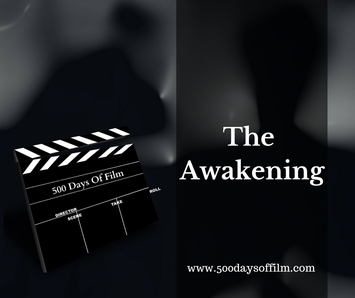 Have you seen The Awakening? Did you enjoy it? Let me know in the comments section below!